Nuvolaris winning ways tazio nuvolari, who was to become perhaps the greatest racing motorist of all time, particularly with the alfa romeos of the scuderia ferrari, gave bianchi its first racing honors in 1924 at brescia and then on the notorious lario circuit, 22 terrible miles which called for outstanding power, acceleration, brakes and road-holding. a record of success bianchi won all six circuits of lario from 1925 to 1930, five times with nuvolari riding. The marque was also three times champion of italy, in 1926,1928, and 1929 and won the 1926 tour of italy. There were also five bianchi victories in the grand prix des nations at monza. 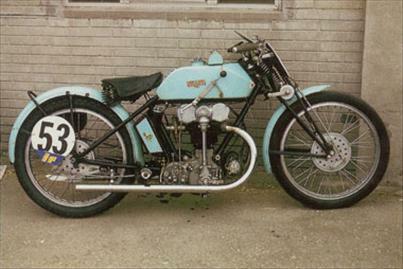 Ridden by the biggest names of its day, the perfectly-balanced bianchi was more than a match for the rex-acme, big port ajs, ktt velocette and four-valve rudge competition. In 1925 this amazing machine set many world speed records, including 300 kilometers (185 miles) covered at an average of 77-9 mph.